I am a Reiki Master and Intuitive Transformational Coach and I offer 6-month packages for my Reiki clients. 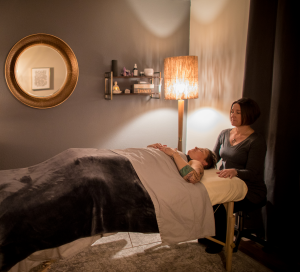 If you are brand new to Reiki, please start with the Amethyst package, which is two sessions over a 30-day period, then we can decide which 6-month package will best fit your needs. Join me and make the commitment to your transformation and healing with Intuitive Transformational Coaching with Reiki- to let go of what no longer serves/isn’t yours, to create new daily practices and to learn how to set energetic boundaries with others. A change that may feels really bit and you may feel like your life is crumbling- partner or child is struggling with addiction or recovery, you are realizing events from your past that you are ready to heal and release, a long-time relationship has ended or is ending. A career change or shift- kids are old enough that you can focus on your career, new empty-nester, you are burned out with your current life path. Chronic physical pain that won’t go away- hip pain, digestive issues, back pain- this is always connected to your emotions and past pain. You already work with a therapist and want to add energy work into your self-care routine. One-on-one Intuitive Reiki sessions (90 minutes each) either in my office or on the phone. Check in (I deeply listen), see where you are, talk about your transformative daily and weekly practices, focusing on mind/body connection. Discuss and set your intention for that day. Intuitive Reiki session is on my massage table in my office (or in your bed if we are doing a distance session). During the session, I will lead you through guided meditations, and what I am seeing in your aura layers and chakras- this could be stories, other people’s energy, or even past lives. You may fall asleep during the session, and that it okay. The energy still releases and balances as it is ready to. After the session, we spend time de-briefing, sharing what was noticed and what moved, pull a card from a Kuan Yin oracle deck, and read it together, focusing on the messages received. You take notes in your journal as we set up your individual practices for the week. Set Boundaries with Compassion and Love, a day-long workshop. During this workshop you learn many tools for setting energetic boundaries with anyone in your life, and it is a day of self-care, with guided meditations and journaling throughout the day. This class also includes education about an energetic way to look at people suffering from mental disease and/or addiction. My intention is to help educate and bring tools that lead to more compassion for yourself and others, while using meditation throughout the class and learning visualizations you can use to set energetic boundaries. I offer the class every-other month in person in the classroom of my office and the months in-between will be Zoom (online) classes for those who are not in town. 20 minute weekly Zoom (call) group check-in (with guided meditation) and membership to private FB group- these are here for my clients to find community support as everyone finds their daily practices and ways to set energetic boundaries with others. Energy Maintenance Plan Selenite Package- continuing clients- one Intuitive Reiki Session per month. If you have been seeing me on a regular basis, and we feel that you are ready for an energy maintenance plan, you can sign up for a 6-month package, which includes the weekly Zoom coaching and continued membership in the private Facebook group. If you feel you need more than one session a month, we can upgrade you to a package, or add a single session for $100. I am a Reiki Master and Intuitive Transformational Coach and I offer 6-month packages for my Reiki clients. If you are brand new to Reiki, please start with the Amethyst package, which is two sessions with me over a 30-day period, then we can decide which 6-month package will best fit your needs. “Tekla’s ability to be present and intuitive is unparalleled. Though I was a bit skeptical, I felt compelled to seek distance intuitive Reiki with Tekla during a period of tumultuous transition. I was at a crossroads – my health was affected – my spirit was wavering – I didn’t recognize the mother I had become – I was seeking inner peace amidst what felt like turmoil, within myself and within several relationships – Tekla supported me to move energy and emotional blocks that were not solely mine and that no longer served. What showed up was that I needed to move some energy that was my Mom’s – not mine, all of it coming from love, nevertheless was not mine to hold – was not mine to bear.